Jeremy Grantham and Ben Inker have a long track record of successfully calling market bubbles, but their investment strategy can take a long time to play out. Finding a truly exceptional asset manager is challenging, even for the most sophisticated investor. A clear and differentiated strategy, strong track record, history of great calls and willingness to learn are just a few of the indicators that tell the story. Competitiveness, confidence and conviction are also important, but, in the end, investing with anyone is a bet on risk. Most investment managers try to work around these concerns by leading with the opportunities they see in the market or pointing to lofty end goals for those that invest with them. Its not often, then, that you go into a meeting with an asset manager and they open with risks: risks to the market, risks to your investments and, indeed, risks to your career if you follow their ideas all the way through. But thats what you get with Grantham, Mayo, Van Otterloo & Co., the Boston-based shop co-founded by famed value investor Jeremy Grantham. Using an approach created by the British-born Grantham, GMOs managers look at asset valuation trends over the entire history of the market and use those as the basis for determining fair value. Within those historical trends GMO has identified a consistent pattern: Asset classes have average values that dont really change much over time. Valuations may go up or down for certain periods, but they always come back to the mean. Because the firm sees markets through this mean-reversion lens, GMO tracks how bubbles are forming and the risks if they burst. The firms managers invest by looking for low-risk, cheap assets that are likely to perform well as bubbles form and easy to get out of just before the inevitable happens. The firms seven-year forecast, which it releases publicly, provides a live snapshot of how markets are changing over time. Over its 39-year history, GMO has built a reputation for being the smartest guys in the room when it comes to long-term value, having successfully called all of the bubbles in recent memory  but that comes at the expense of almost everything else. When you walk through GMOs front door, youll find an outlier not just among value shops but among investment firms. There are no fancy presentations touting a wealth of golden opportunities, no branded golf balls to take away. What you get instead feels a bit more like a visit to a think tank, with researchers who are on the brink of their next great discovery and only want investors willing to stay on until they find it. The reason you dont see a lot of money chasing long-term value strategies, particularly strategies like ours, is career risk, says Ben Inker, GMOs co-head of asset allocation. Hes tasked with running a strategy that relies on high economic growth periods to work well. The heir to Granthams quantitative models, Inker has been at GMO since graduating from Yale University in 1992 with a BA in economics. He took over day-to-day operations for the firms asset allocation team in 2009. GMO has famously shied away from marketing, and even from going out of its way to keep clients when times are tough. Instead, it sticks to the firms investment strategy at all costs. But its been a difficult market for value investors in recent years as the postfinancial crisis rally sent equity prices to new highs and low interest rates made picking cheap bonds nearly impossible. Now Inker finds himself leading a familiar two-front war: managing unhappy clients and overpriced markets. Performance across most of GMOs core strategies, which Inker runs, is flat to negative. The Benchmark-Free Allocation strategy, the firms largest by asset size at $27.3 billion, was up 0.63 percent this year through May. Thats a slight rebound for the strategy, which ended 2015 down 4.17 percent, but hardly indicative of a recovery trend. The flagship strategys annualized return over the past three years is just 0.80 percent. With volatility affecting valuations and market shocks like Brexit compounding losses, Inker may turn out to be right, but its an open question whether developed markets can form bubbles as they did in the past. With central banks pumping up stocks as a matter of policy, the recent rally hasnt had the strength of previous ones and is nowhere near bubble territory. Mean reversion might not work as clearly as it did in the past, says Matthew McLennan, head of the global value team at New Yorkbased, $94 billion First Eagle Investment Management. According to McLennan, some managers have adjusted their metrics for judging value, moving away from traditional benchmarks like the price-earnings ratio and focusing instead on cash flow or more-subjective measures like intrinsic value to find short-term opportunities and performance fixes in reaction to changes in markets. Were dealing with a low-growth, high-­regulation environment, and its not clear that will change, he adds. The lag in performance at GMO has caused a handful of U.S. public pensions invested across its strategies to put the firm on watch lists or terminate relationships completely. Firmwide assets sit at $99 billion, down from last year, when they hovered near $115 billion, and off substantially from 2007s peak of $155 billion, according to Morningstar. In May 2015 the $550 million AlamedaContra Costa Transit District Retirement System, based in Oakland, California, unwound its tactical portfolio, which included GMO, citing performance. In March of this year, the $1.7 billion Milwaukee County Employees Retirement System terminated GMOs $65 million mandate, also specifying performance. The $12.1 billion Orange County Employees Retirement System in Santa Ana, California, has put GMO on its watch list; the firm manages $195 million for the pension. According to OCERS spokesman Robert Kinsler, an investment firm is typically put on watch for issues related to performance or when there are major organizational changes. Unfortunately for GMO, it has both problems. The firm recently decided to make cuts in its fundamental global equity team, a newer group that is a bit outside GMOs core quantitative style. That came alongside a 10 percent reduction in head count across the 650-person company, which has offices in Amsterdam, Berkeley, London, Singapore and Sydney in addition to its Boston Harbor headquarters. The moves raised eyebrows, as reports of the cuts first emerged without comment from GMO. But Arjun Divecha, who serves as chairman of the board and head of GMOs emerging-markets ­equity division, says the firm is simply getting back to its roots. Hilsabeck has been replaced by Margaret (Peg) McGetrick, who will serve as interim CEO. The 57-year-old executive represents a bit of a retrenchment to GMOs roots. Unlike Hilsabeck, who came up through the client relations side of the business, McGetrick worked at GMO as a portfolio manager on the international active equity team from 1984 to 1996 before leaving to co-found Boston-based Liberty Square Asset Management. She rejoined GMO as a board member in 2011. McGetricks appointment is likely to reinvigorate GMOs investment professionals and refocus the firm on statistical mean reversion. Although value investing remains challenged in the U.S., GMOs emerging-­markets equity and debt strategies, which represent roughly one fifth of the firms assets under management, have performed well. The firms Emerging Country Debt Fund (Class III), run by Tina Vandersteel and Thomas Cooper, was up 11.98 percent this year through June, benefiting from a position in Argentinean sovereign bonds. GMOs Emerging Markets Fund (Class II) was up 11.79 percent during the same period. Now at the helm, McGetrick will need to convince investors that shes capable of steering the firm toward gains like those. Shell be aided by Divecha, who has been leading the emerging-markets equity group; Inker on the asset allocation team; and Grantham, who stepped back from running day-to-day investment operations several years ago but as chief investment strategist still speaks regularly with clients. 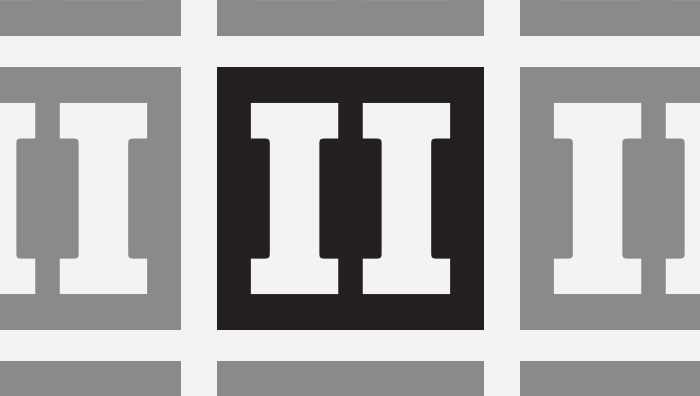 Still, that sentiment isnt enough for some investors, which are entering year four of this struggle across all types of value strategies  no matter how unique the approach. The problem for managers generally is that investors pick whats working in the moment, not what will work in the future or over the long term, says Katrina (Kate) Mead, institutional portfolio manager at Boston-based MFS Investment Management. Mead works with all types of institutions, including those interested in value strategies, and says it can be a tough sell for investors to live with a few years of underperformance while they wait for a year that will make it up and then some  a performance trajectory common to value shops. Jeremy Grantham has never managed his career like a traditional investment manager. 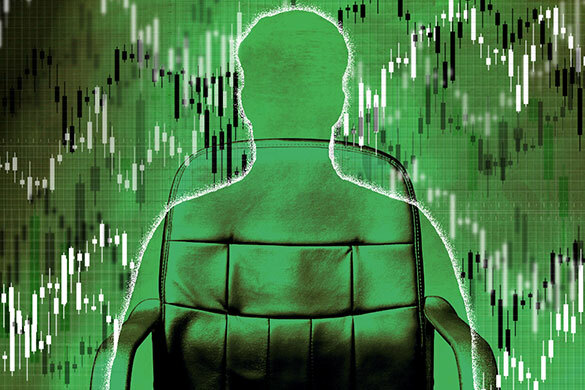 Instead of chasing assets or dreaming up piles of new products, he pursues investment ideas academically, based on his study of market conditions. Grantham, who grew up in Doncaster, a small mining town in the north of England, and moved to the U.S. in the mid-60s to attend Harvard Business School, is a natural statistician. He takes in huge amounts of data to find patterns that inform his view of the market. This approach remains embedded in GMOs strategies. Our goal has always been to be as helpful to our clients as we can be, whether that means showing them the risks in the market or telling them about an investment idea even if we dont have a product for it and dont plan to create one, he explains. 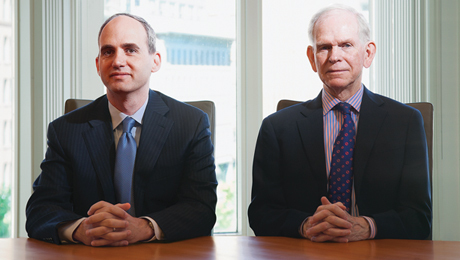 Grantham honed his approach at Boston-based Batterymarch Financial Management, a firm he founded with Dean LeBaron and Richard Mayo in 1969. Batterymarch became the testing ground for his quantitative take on investment. In 1971 the firm decided to experiment with index investing. At the time, indexing was largely an academic idea. It was 1973 when Batterymarch found a client for the new product, and another two years passed before index funds became a viable market. By 1977, Grantham had grown restless at Batterymarch, and he left to start GMO with Mayo and former colleague Eyk Van Otterloo. At GMO, Grantham drove investment strategy using his quantitative background to create both equity and bond funds that run on models that make value-­oriented bets when asset prices deviate from historical means. GMO tracks decades-long asset bubbles the way other investment managers look for short-term price movements. Granthams core philosophy that assets and markets eventually revert to their historical mean forms the basis for every fund group within GMO. Whether managers are picking equities or bonds, they focus on valuations and predict what is likely to happen when a given securitys price ultimately moves back to its intrinsic value. 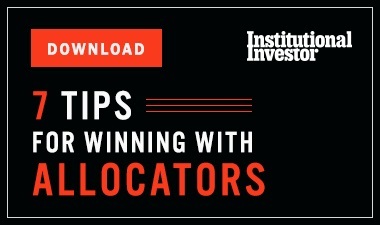 Bets on individual investments happen within a larger view of where the global economy is and whether a bubble is starting to form in one sector or another. Beyond these basic guiding principles, each investment team operates largely autonomously. The key to asset allocation is really the formation and breaking of great bubbles, says Grantham, who has a long track record of being right. In the late 1980s he moved out of Japanese equities and real estate just before that market imploded. In the late 90s he called the dot-com bubble earlier than most. But being right isnt always easy. GMOs stance on the dot-com bubble was the biggest bet the firm had ever made, and it didnt go well  at least, not at first. Granthams conviction didnt stop other investors from going all-in on the promise of Internet riches, propelling the S&P 500 to 35 times earnings by 2000. That was the most painful two and a half years we have ever had as a firm, Grantham recalls. During that period he catapulted into the business press spotlight, debating dot-com bulls and standing by his assertions, which looked overly bearish as markets continued to climb. He also had to do a fair amount of debating with his clients when he moved their money out of tech stocks and into a mix of cash, real estate investment trusts and Treasury Inflation-Protected Securities. We would go around to all of the clients with all of the data we assembled, Grantham says. We had 28 bubbles identified. Each one of them had blown apart in the exact same way, and each time what led to the bubble was some new golden era in industry. But clients werent interested. GMOs moves into REITs and bonds would go on to produce returns in the high single digits after the dot-com crash, while equities sank to their lowest levels in decades. Granthams predictions proved to be right, bringing a chunk of new money into the firm and acting as proof-of-concept for GMOs investment philosophy. Just before everything fell apart in 2008, GMOs asset allocation team members moved as much of their clients money out of risky assets as they could, preserving capital along the way. Grantham admits the crash turned out much worse than he expected. At the time, the Benchmark-­Free strategy had an 18 percent exposure to equities and was trending downward, and Grantham made a critical contrarian call. The risk-on trade in the market was to go short the Japanese yen and long the British pound; he played it the opposite way. When Lehman Brothers Holdings went bankrupt and markets reacted, his move turned out to be right. You could carry those bets with almost no cash involved, Grantham recalls. Pure gold. The Benchmark-Free strategy returned 19.86 percent in 2009. After the dust settled that year, Grantham stepped back from leading the asset allocation team, tapping Inker to fill the role. Inker, 38 at the time, had been working alongside Grantham as his first and only researcher. In that role I was able to get to the core of the kind of research questions Jeremy asks and understand if his hypothesis was going to ultimately be successful, Inker says. Since taking the lead on the asset allocation team, Inker has had to keep the firms mean-reversion strategies performing well even though there hasnt been a clear trend in the market. If bubbles eventually start forming again, it could take many years for them to fully materialize. The equity rally that started in 2009 has been uneven and was recently affected by the commodities slump and macroeconomic tensions, which have held back the kind of activity needed to create a bubble. As volatility returned to markets in 2014, performance in the Benchmark-Free strategy started to slide, raising questions about how well the approach works without a bubble on the horizon. Inker takes a more systematic approach to understanding markets than Grantham, who seems to be able to see them almost intuitively. It is unclear if that difference is enough to affect how well the strategy works. For now Grantham remains by Inkers side, continuing to make predictions about the market and serving as a familiar face for clients and GMO executives alike. Valuations form the basis for GMOs seven-year forecast, which the firm uses as a framework for tracking the direction of the market. Each month the forecast is updated to reflect economic changes. The forecast is a good indicator of where GMO sees potential opportunities. GMOs forecast over the past two years has looked pretty grim: Opportunities are limited, and overall economic growth remains low relative to historical averages. The firm put out its latest update on May 31, just when markets were in a snapback rally prompted by a stabilization in oil prices, and the picture it put forward wasnt any more positive. Within the forecast GMO sets the historical long-term U.S. equity market return at 6.5 percent based on data in its models. Over the next seven years, none of the asset classes included in the forecast will hit 6.5 percent. All of this should set up a good market for finding value plays, but markets are reacting nervously to the actions of central banks around the world. The combination of zero or even negative interest rates and central bank bond buying has propped up stock markets, leading to a boost in investment accounts that makes people feel richer, so they spend more money even though they actually arent wealthier at all. GMO looks for bonds that are cheap but also exhibit strong investment performance. 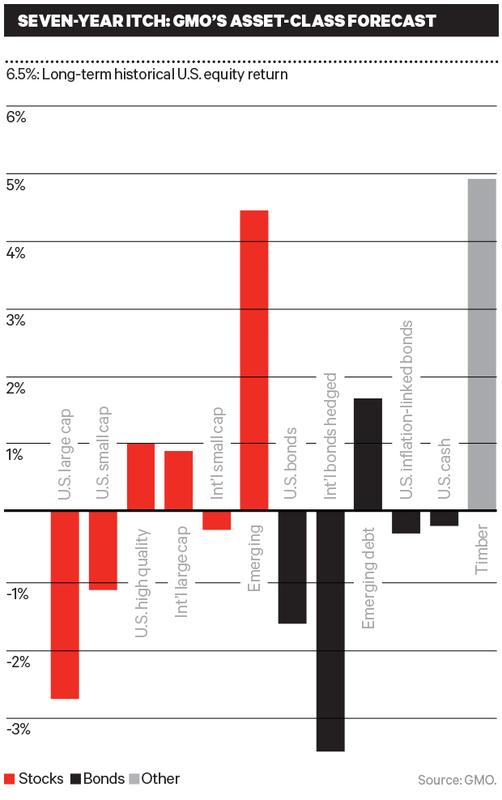 It hedges emerging-country bonds with more-liquid debt instruments, like U.S. Treasuries. In constructing the portfolio Vandersteel and co-manager Cooper employ a top-down macroeconomic assessment to determine whether a country will be able to pay off its bonds regardless of what happens  including default. The core GMO strategy of making money when markets break remains the same. Argentinas recent default illustrates how that alpha generation works. When the country went into judicial default over bond holdouts, the U.S. District Court for the Southern District of New York identified a recovery value that the government would pay to the bondholders as part of the approved plan to allow Argentina to start paying its debts. At the time, GMO owned Argentinean bonds that were originally purchased below that recovery value, which meant the firm generated a profit when it sold them back to the sovereign. Right now emerging markets have at least one critical edge over developed markets: Their central banks have been less prone to intervention and their markets less affected by the valuation distortions created by the resulting wealth effect. That difference is likely to persist for at least the length of GMOs most recent seven-year forecast and could set up a fundamental difference between developed and emerging markets over the very long term if nothing changes. Cast in that light, the firms recent management changes make sense. Units like those led by Divecha and Vandersteel are well placed to perform until developed markets become less dependent on central bank stimulus and return to being driven by fundamentals. CEO McGetrick, too, will be able to fall back on her time as an international equity manager to explain to investors where and how the firm is finding success.